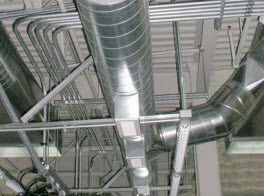 Air ducts play a major role in the HVAC system as they distribute the conditioned air to various rooms. As the air circulates, tiny particles of hair, fur, pollen, dust, dust mites, pollutants, and other contaminates are also floating in the air. Over time, these particles and so much more debris, gets collected layer after layer in the ducts. Eventually the buildup impacts the efficiency of your HVAC system as well as affects the respiratory systems of the occupants. Thankfully, there are professionals who understand that those with allergies and asthma attacks can minimize their infliction with routine cleaning while also maintaining the efficiency of the HVAC system. Today, we at Sterling Environmental Air Duct Cleaning would like to list the benefits of having the ducts cleaned every few years. 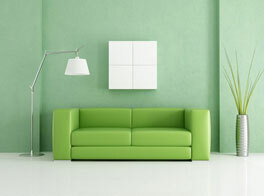 1) Air is dispersed into individual rooms by the air ducts that circulate the warm or cooled air. Along with the air, airborne particulates and allergens are being dispersed as well. Dust, pollen, pet fur and dander, and all other tiny pollutants are contained in the air filters, allowing for clean air. Over time, similar to the compact mess on filters, the accumulation in the air ducts will start to contaminate more of the air as the air flows. As a result, those with sensitive allergies and asthma attacks will likely see they get triggered more often and/or the symptoms last longer than normal. Ensuring the air ducts are routinely cleaned can minimize the negative affect the allergen riddled air has on your respiratory system. 2) The HVAC system will need to consume additional power, which increases utility bills and puts a strain on the appliances associated with your HVAC system, often resulting in more repairs when the airflow is restricted. As it compensates for the struggle, added wear is put on the appliances. Simply keeping the ducts cleaned with scheduled services can spare your furnace and air conditioner from repairs, maintain energy use, and your control your bills. 3) Mold can be a problem in air ducts. Though it is not extraordinarily common, it happens enough it is worth mentioning as a benefit. Not only can a mold outbreak in the ducts be discovered during a cleaning, but if one exists, the immediate removal from trained professionals can improve your air quality dramatically and help you avoid the negative impact mold has on you and your home. It is recommended that you get your air ducts cleaned at least every 3-5 years, but annually is optimal. You should consider more frequent cleanings if one or more of the below circumstances applies to your household. –	One or more indoor pet, particularly if they have a tendency to shed excessive amounts of hair or fur and dander. 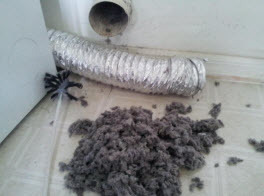 –	After a recent move and it was not disclosed ow recent the last air duct cleaning was, if ever. –	Following any remodeling or renovations. –	If any pest control issues have been a major problem, especially involving rodents. –	Family members or other residents of the home have increased asthma and chronic allergies. –	Water or smoke damage occurred in the home. –	Any past mold outbreaks in or near the outside the home. 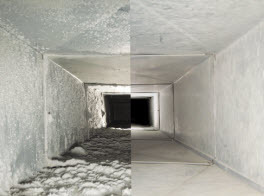 When you need your air ducts cleaned in the Southeast area of Michigan, call Sterling Environmental Air Duct Cleaning and let our experts do the rest.